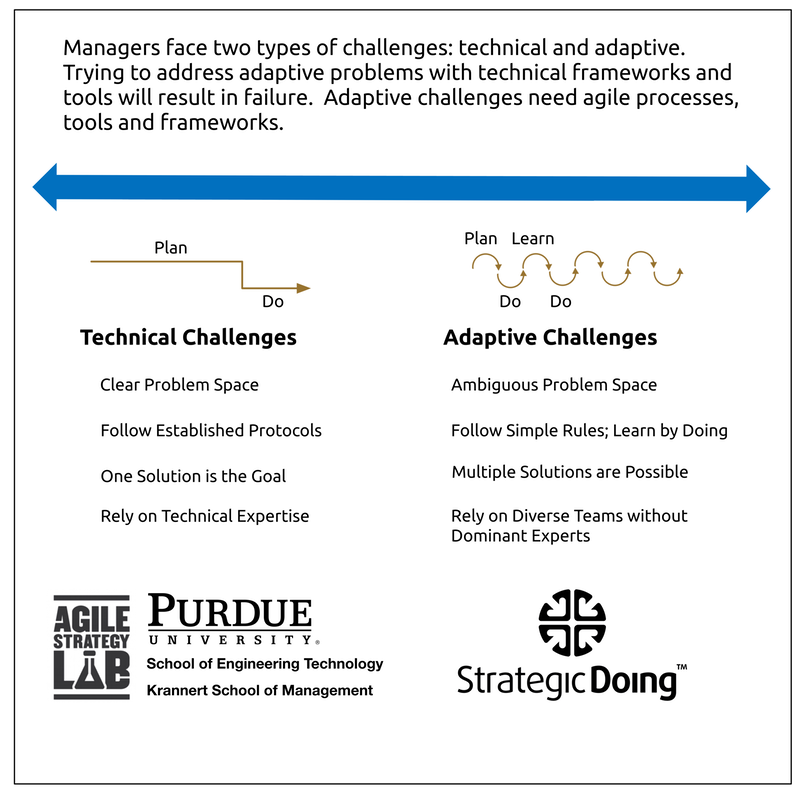 The Lab has launched its new course in Krannert on agile strategy and collaborative leadership. 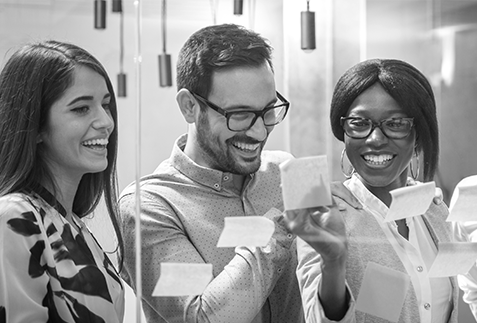 The course takes students through the key elements of how to lead an agile strategy process, when an organization faces an adaptive challenge. Unlike technical problems that can be dealt with through a linear logic process, adaptive challenges are far less clear. They often amount to “wicked problems“. Next, we explore how to design conversations that lead to strategic action plans. Here, the ten rules of Strategic Doing provide the underlying structure for introducing the shared skills needed to design and guide these conversations. We are teaching these classes using the case method.